You like Christmas, and I like Halloween!! Love your blog! I just became a follower and grabbed your button. Hope you'll stop by and do the same. I see that you love Paris as much as I do! Love your pretty pictures! Lots of oooh, la, la! Thanks for stopping by my blog and leaving such a nice comment! 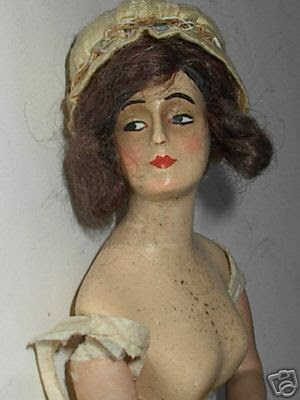 That antique French doll is beautiful!